Scientists have just made a surprising discovery involving fat and special immune cells that live within it — it turns out that 'gd T cells' are the key cogs in the biological wheel that regulates our body heat and protects us against cold shock. The discovery thus reveals a peculiar and previously unknown aspect of the immune system – as well as driving our response to infection, it also plays a role in regulating our metabolism. In addition, this discovery has put the spotlight on a potential new target for therapies designed to help individuals either lose or gain weight. There are two quite distinct types of fat — white and brown. The main job of white fat is to store the energy from the food we eat for when we need it. Of course, the more energy we take in without using, the fatter we get. The job of brown fat, contrastingly, is to burn the fat to produce heat in the body. This is particularly important when babies are born as it regulates their temperatures until they develop more white fat, but it's also important in protecting us from hypothermia. Professor Lynch said: "Surprisingly, we found that the immune cells in fat respond to cold temperatures – they play an integral part in regulating thermogenesis by 'turning on' the burning of white fat, or by stimulating the conversion of white fat into brown fat, which generates the heat required to keep us warm in the cold. This heat generation happens when the lipids in the white fat are burned up, and, when this occurs, weight loss is the chief side effect." 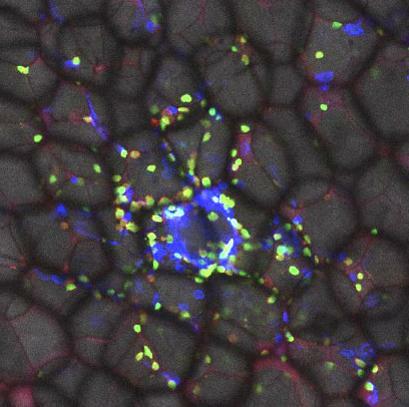 This discovery opens the door to a new potential target for therapeutic research – in patients living with obesity, or in those who are experiencing wasting, for example. For people with obesity, activating the biological pathway and kick-starting the body into burning white fat may induce weight loss, while for those experiencing wasting (often associated with cancer and AIDS), switching off the pathway may induce desirable weight gain.